Halley's Comet passed perihelion in its ninth known passage, as determined from records by Chinese astronomers. Galileo Galilei arrived in Rome and was detained for his trial before the Inquisition for professing his belief that the Earth revolves around the Sun. Tycho Brahe first sketched the "Tychonic system" of the solar system. M. Wolf discovered asteroids #473 Nolli and #474 Prudentia. H. Van Gent discovered asteroids #1342 Brabantia, #1353 Maartje and #2378. A. Wachmann discovered asteroid #1586 Thiele. S. J. Bus discovered asteroid #2791 Paradise. Apollo Computer was incorporated in Chelmsford, MA. From 1980 to 1987, Apollo was the largest manufacturer of network workstations. Harvard College discovered asteroids #2482 Perkin and #2658 Gingerich. USSR's Venera 12 spacecraft approached Comet Bradfield, and successfully studied the comet using the probe's Soviet-French ultraviolet spectrometer, a year and two months after passing by Venus. H. Debehogne discovered asteroid #3365. NASA's Voyager 1 began taking the solar system "family portrait" images from outside the solar system. NASA's STS 82 astronauts retrieved the Hubble Space Telescope from orbit for its second servicing. The Harvard-Smithsonian Center for Astrophysics announced discovery of the universe's largest known diamond - a white dwarf star, BPM 37093. 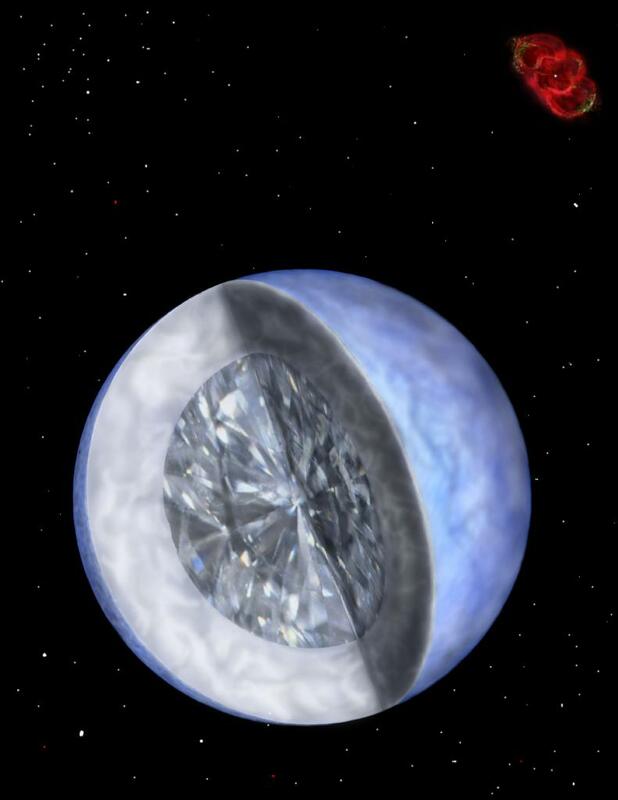 The largest known diamond, a white dwarf star's crystallized carbon core.